One of New Zealand’s most successful tool machinery manufacturers could not have continued on a high growth programme without an innovative product that helps manage cashflow, called Pay My Tax. When Teknatool New Zealand closed its manufacturing facility in New Zealand and moved to Qingdao in China to be closer to its markets in 2006, the well-established New Zealand engineering business (known for working with such brands as Black & Decker) was launched along a meteoric global growth path. Sales grew rapidly. And opportunities began opening up. Then in 2009, Teknatool also opened a research and development department in Quingdao. But high growth and developing the business in other countries meant cashflow was tight. Teknatool could not have continued to take advantage of these opportunities had it not been for a smart tax pooling product from Tax Management NZ (TMNZ). Pay My Tax lets businesses defer their provisional tax payments by up to 18 months, to a time that’s more convenient for the business. By leaving cash in the business for as long as possible, businesses can spend money when it is needed to buy materials or develop without incurring huge tax liabilities in the form of the IRDÕs use of money interest and late penalties. The current IRD use of money interest (UOMI) rates are 8.4% for underpayments and 1.75% for overpayments. Missed payments can be subject to late payment or shortfall penalties. And taxpayers can be charged interest even if they had not earned the income by the time the provisional tax payment was due – because the IRD operates with the benefit of hindsight. When Teknatool discovered TMNZ three years ago, it made it much easier to manage their cashflow, says financial director Margaret Latimer. 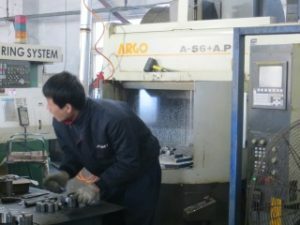 “At the same time as we were pouring money into a high growth path in overseas markets, we had to pay for raw material, mainly steel bearings and fastenings from both Russian and Chinese suppliers. Latimer says Teknatool has a natural hedge that minimises its exposure to volatile foreign exchange markets by buying and selling in US dollars. But another New Zealand company, Stonegrill, that doesn’t have this hedge in place and Pay My Tax has been useful. Stonegrill has created a cooking system that offers a unique interactive dining experience for diners where meals are served cooking at the table on super-heated natural volcanic stones. Pay My Tax lets Stonegrill NZ take advantage of the exchange rates to import materials when they are most favourable. Tony Scott of Stonegrill explains: “Being able to better manage the timing of our tax payments and cash availability has allowed us (as importers) to purchase internationally when the exchange rates are most favourable and to obtain discounts by paying at the time of order. We have cemented the relationship with our own valuable clients by being able to pass these considerable savings on to them. This tax management option simply pays for itself in more ways than one.